Harrogate Railway suffered their fair share of bad luck on their way to a 3-0 FA Cup defeat at Bridlington Town. 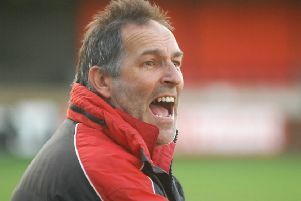 Having already lost Luke McCrum to injury in their season-opener at Maltby Main, manager Brian Davey saw fellow centre-halves David Ward and Matty Duerden forced from the field due to injury at Queensgate on Saturday, while the Starbeck club also had an effort disallowed with the game still in the balance. "Our lads have worked very, very hard, but overall, Bridlington were the better team and they deserved to win the game, you can't take that away from them," Davey reflected. "That said, at 1-0, we've recovered from losing another centre-half to injury, had a 'goal' ruled out and then the referee has made a really bad call and allowed their keeper to get away with picking up a back-pass. "We weren't happy with those decisions and maybe things could have been different if he'd given them our way. "In the end, we've tired, we've had to take our other centre-half off injured and they've ended up getting the third goal and to be fair, they had that little bit too much for us. They're a big, strong side with that extra quality and we were always going to be up against it." 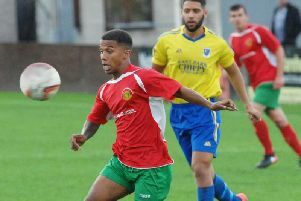 Shaq McKenzie fired Bridlington into an eighth-minute lead, then things went from bad to worse for Railway when Ward, deputising in the centre of defence, had to retire with a knee problem. Fraser Lancaster thought he had drawn the visitors level, only to be left frustrated by the raising of the linesman's flag and the Seasiders went on to double their advantage in the 50th minute. Nathan Modest's fine pass picked out Joe McFadyen and his half-volley flew past Jacob Collier in the away goal. Skipper Duerden then fell awkwardly on his shoulder and had to be substituted before Modest bagged Bridlington's third of the day. Davey's men will be aiming to bounce back when they entertain Hall Road Rangers on Tuesday evening, 7.45pm kick-off at Station View. "It's a home game against one of the sides who we think we'll be in and around in the table, so we're looking for our first goals and first points of the season," boss Davey added. "Everyone's up for it and we're aiming to get ourselves up and running."